This is a different take on emigration from Ireland to America, and references the time of the Civil War. A couple of notes: General Meagher led the 69th Irish Regiment in the Civil War. Indian Buck refers to corn sent by America to Ireland for famine relief. But it was basically livestock-grade corn, causing some health issues for humans who consumed it. This song was written within 10 years of the end of the Civil War. The video is interspersed with photos I took of the Irish Brigade monument at Gettysburg. Thank you all for listening and commenting. Val--thanks, I would take it up every couple of months...and I was still changing chords just a couple of days ago. Mike-Thurman, thanks so much, I appreciate your continuing to listen to my "stuff"
Ken Longfield - you know this is the dulcimer you repaired. I've just started playing it a lot. It's become a favorite after these several years. Steven-Berger. I hadn't heard of the Honest Pat Murphy song but I've now just listened to 3 versions on YouTube. Thanks for mentioning it. Janene, you have given us a beautiful rendition of this song! Thank you! This is one of those songs which I feel sounds better sung by a woman than a man. The 69th NY Infantry Regiment, which you mention, was part of the Irish Brigade during the Civil War, and gained further fame in World War I as "The Fighting 69th". Another good Irish-themed Civil War song is "Honest Pat Murphy of the Irish Brigade"...your voice would lend itself well to this song, also. Another good one. I really enjoyed this song. That was worth the wait Jan, beautiful rendition. Thanks for sharing this Janene. I've never heard this song. It is a different take on Irish immigration. You played and sang it beautifully. 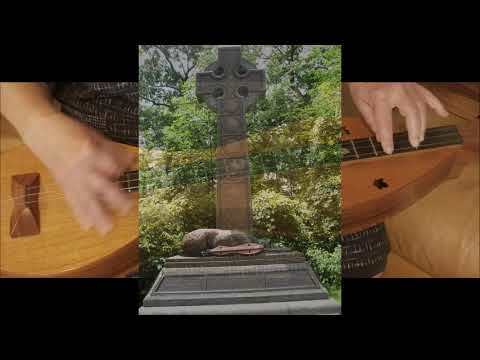 As we head into St. Patrick's Day weekend, I want to offer up this song which is a song about Irish emigration to America, at the time of the American Civil War. I love the lyrics and historical references in this song. I've inserted photos I took of the Irish Brigade monument at Gettysburg..as we live 30 min. north of Gettysburg, and my husband's an official guide (for the Army War College) so I have an opportunity to go frequently. Thanks to Val for bringing this song to my attention several years ago.